This company advertised two-passenger cars and delivery cars, but no details are available. Steam as well as gasoline-driven vehicles were listed. This advertisement appeared in the December 1899 issue of The Automobile Magazine. 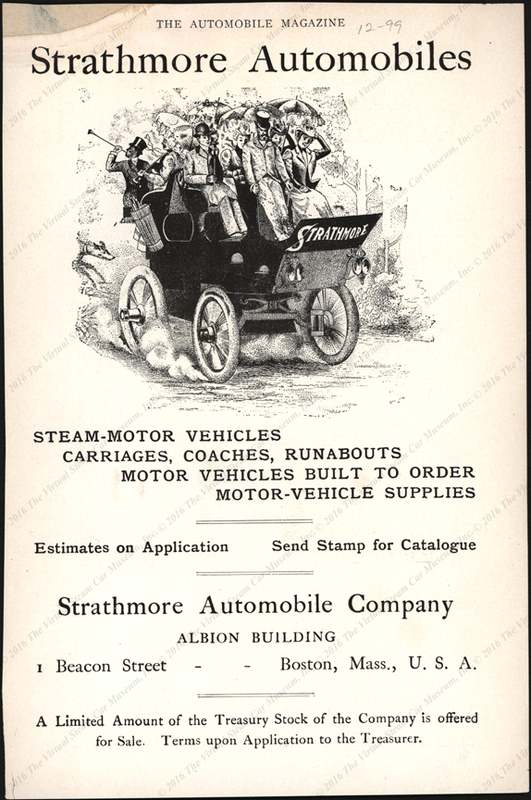 The image suggests the company officers were unfamiliar with automobile design, and the line at the bottom of the page invites the public to purchase stock. Contact us if you have additional information about the Strathmore Automobile Company or if you have questions.